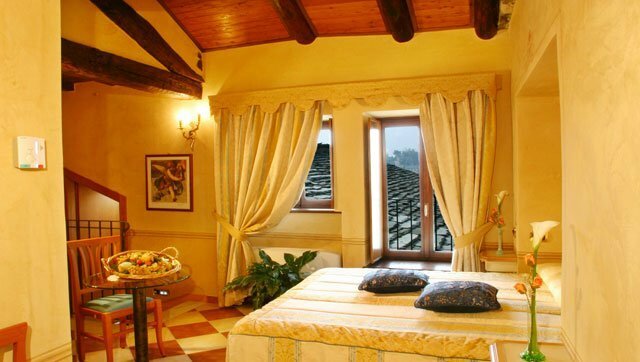 The room Comfort number 302, located in the loft area, develops a different welcoming perspective where ancient beams frame the view of the island through the outer view of local and typical stone roofs. 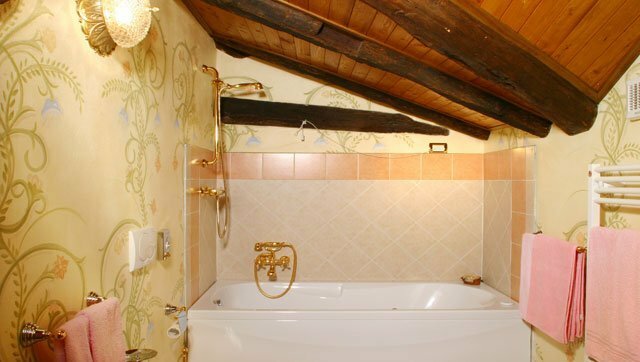 The bathroom, decorated by local artisans, is very intimate and secluded. From the skylight abundant light shines through the beamed ceiling, from where guests can enjoy the blue summer sky. 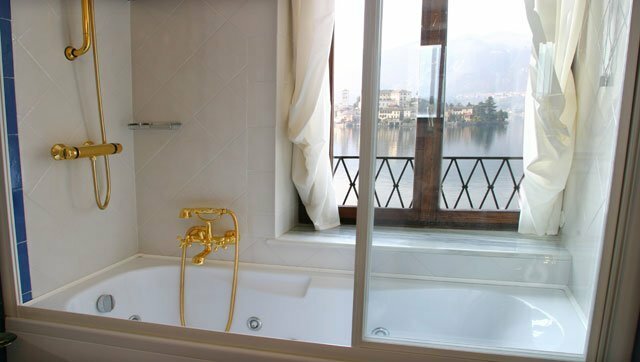 To fully relax there is a comfortable Jacuzzi in the bathroom as in every room Comfort. The room Comfort number 202 is a true gem: very bright thanks to the large windows facing the island. 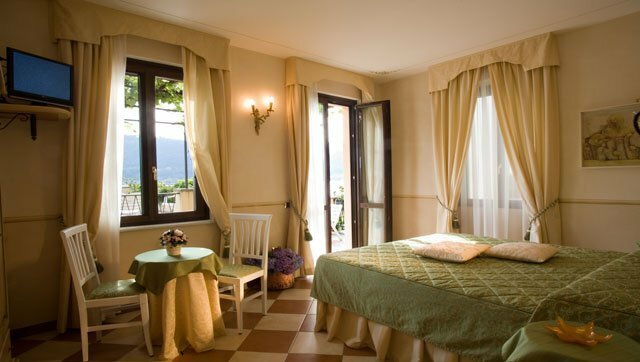 There is a romantic private balcony from which guests can contemplate the view and the calmness of the lake.Peace and tranquillity found in the living area corner recalls of famous writers and philosophers who in this area composed their masterpieces. For an unforgettable bath there is a Jacuzzi facing the island. 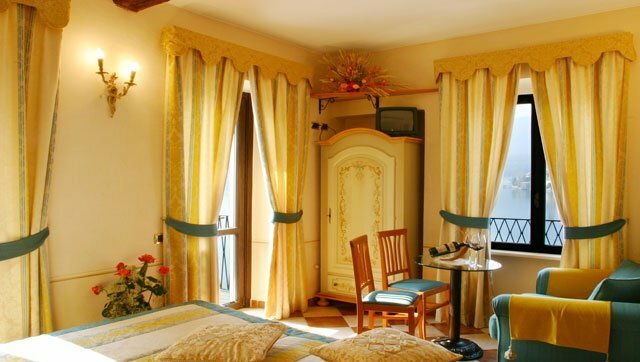 The room Comfort number 104 is very bright thanks to the openings towards the terrace and the lake. There is also a private outdoor space from which guests can privately enjoy the view of the island with a glass of wine. And to relax after a day spent discovering the town and local areas’ treasures guests can enjoy a bath in the comfortable Jacuzzi. The room Comfort number 101 impresses straight upon entrance a comfortable Jacuzzi for two with cromotherapy is directly located in the room. From here one can enjoy a stunning view in complete relax. From the room there is direct access to the nice first floor terrace to enjoy the sunshine and sunbathe.